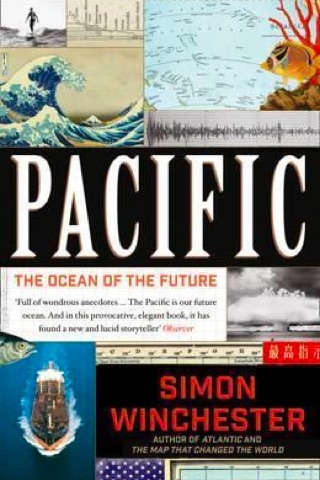 Simon Winchester’s 2015-published Pacific: The Ocean of the Future (or, in other editions, Pacific: Silicon Chips and Surfboards, Coral Reefs and Atom Bombs, Brutal Dictators and Fading Empires ) is an erudite series of compelling historical vignettes that together create a colourful portrait of the Pacific Ocean and its modern past. Which begs the question: Given its size and incredible diversity, is it even possible to single it out as something to be described as a coherent whole? How does one begin to separate it from the rest of the planet? Somehow, Winchester goes on to answer by selecting “10 singular events, some of them portentous, some more trivial, but each appearing to me to herald some kind of trend” relevant to the ocean and its peoples. And the whole very much becomes greater than the sum of its parts. In describing various selected stories which have the Pacific as a common central theme, Winchester indeed rather masterfully brings to light the fascinating links—be they political, technological or geographical—that span and connect the ocean's region into something sensible. In short, he pulls off a rather ambitious feat and manages to make the result a bit of a page turner, too. The biography starts with a look at US atomic testing that took place in the Pacific—the first 67 of US tests took place here. “I decided to begin with the acceptance of a singular and distasteful reality: that the Pacific, despite what Ferdinand Magellan experienced when he first sailed into it, is anything but a pacific ocean; it is in fact, and more than any other, an atomic ocean,” Winchester writes. In particular, the Marshall Islands’s Bikini Atoll, and by extension the tiny republic itself, was devastated by the tests; the 23 tests here, Winchester notes, account for more than 15 percent of the total power of all the atomic explosions triggered in the history of all American testing. The manner in which the story of the Marshalls unfurls is instructive of the rest of the book: A never-dry exegesis of an historical juncture is peppered with fascinating fact, after jaw-dropping anecdote, after titillating trivia. Our only criticism: We simply wanted more. We popped out at the end of each chapter blinking, to be immersed in something totally different within a few paragraphs of the next. Among the other topics Winchester chooses to traverse are: the formation of Japan’s Sony Corporation (an interesting case study for the start-ups of today to consider); the release of the film Gidget and spread of surfing; the sacking of Gough Whitlam in Australia; the discovery of deep-ocean hydrothermal vents; and the 1991 eruption of Mount Pinatubo in the Philippines. 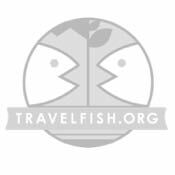 As far as being relevant to Southeast Asian travellers goes, Pacific: The Ocean of the Future is naturally most specifically relevant to those heading to the Philippines. Nevertheless, given mainland Southeast Asia’s positioning, the history of the Pacific informs much of today’s global geopolitical posturing and ongoing events here; anyone with an interest in Southeast Asia will find something new and interesting here. In particular, the rise of China is being palpably felt in Southeast Asia, as is the impact of climate change, which Winchester also accessibly covers here. Winchester is an engaging and entertaining writer-historian; this is the sort of book to read if you want to whisk yourself away somewhere even without leaving the comfort of your armchair or bed.